1353 days until Election Day 2020 – Will it happen? In his first extended press conference at the White House, the president railed against his critics and unspooled a series of bitter complaints. President Trump unloads on ‘dishonest’ ‘out of control’ media – OF COURSE, Trump is right. But not in any of the ways to which he referred. Chicago gang members say more police won’t stop the murders – This is news?!? What else would one expect gang members to say? State-led push to force constitutional convention gains steam, with high-profile Republican support – The siren’s song of the constitutional convention will continue to be sung in the media as a cure-all for what ails the US of A. A constitutional convention is portrayed as a method for “real Americans” to take control of their country and get it back on track. However, once convened, a constitutional convention can change the constitution ANY WAY it sees fit. Of course, the constitution will be changed and important safeguards will be removed, but rest assured: it will be totally unintentional. And naturally the politicians and celebrities who show up at such a gathering will have incredibly good reasons for doing the things they did. Which brings up a few questions: Why do Americans believe that the same people who got them into today’s situation won’t be the same people who will be at the constitutional convention? IF totally different people would be sent, why not elect THOSE people today and change things? However, when the time is right, one suspects the constitutional convention will be held, where the proper changes already ordained will be made. Which is one reason media, government, politics and entertainment are working together to convince Americans that their system no longer works. No system is any better than the people who administer it. IF the reader believes–in spite of all that is going on around him–that the government is shackled in ANY way by the US constituion, the reader is woefully deceived. (VIDEO) Are you a trader? – An example of a video that many Christians will no doubt think is wonderful. But is it? Or does it contain subtle anti-Christian messages sprinkled throughout its 2 minute presentation? The first thing that caused one to take heed was where the video was first seen. Is the Corporate Media a promoter of Jesus Christ? Or is it a deceiver? The second thing was the video’s use of “Christ.” That can be a tip-off, though the video did throw “Jesus” into the mix a couple of times. In the times in which we live, Christians will frequently hear “Christ” being used by the world, “Jesus” much less and “Jesus Christ” almost never. 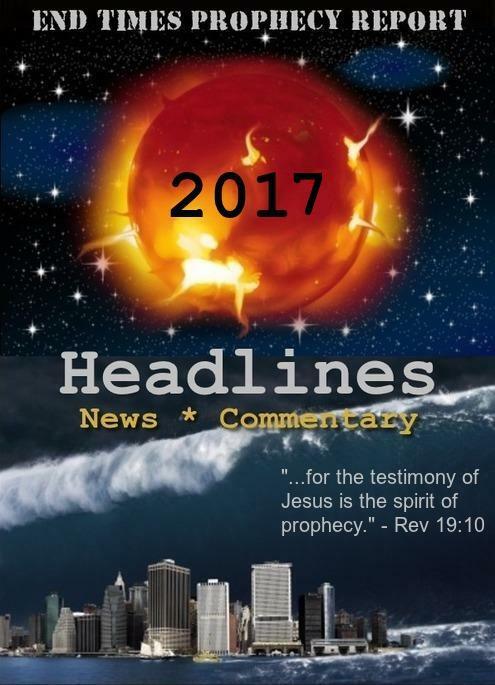 The New Age and the occult speak of a coming Christ. They also speak of Jesus being one of the “Ascended Masters” though a lesser one. But Jesus Christ? No way: the Christ is yet to come. Jesus was not the Christ. The next alert was a phrase used at the 1:40 mark. This brought back memories of conversations this writer had 35 years ago with a good friend who used that phrase quite a lot “My work is my worship.” The friend practiced an Eastern religion and worshiped idols. At the time, the phrase always sounded thoughtful and good. It wasn’t until this writer became a Christian that he checked out what the Bible had to say on the subject. Not exactly what this writer was looking for, but close enough. The Bible has much to say about worship. Nowhere does it state that work is worship. Lastly, did the video present the good news of Jesus Christ? Or was there a slickly-packaged gospel of good works? The organization responsible for the video and other similar ones: rightnow.org. Christians are being bombarded with other gospels–and these other gospels don’t sound bad. They are supposed to sound good. In the times in which we live, there are no champions on TV or in mass media or in the movies. The only champions are the ones found in the Bible–and those who try to live by those words without listening to the false prophets sent by the enemy to deceive believers. ONE YEAR AGO: CIA Chief: Agency Knew of Impending ISIS Attack ‘Days Before’ Paris – Another appeal to Americans to trade more pretend liberty in exchange for more pretend safety. The invisible link between autism and anorexia – The story behind the deception of autism is an evil rebranded. Which is why the reader will be served up articles like the linked one, as well as the fake “autism-vaccines” controversy. No one is claiming that the condition which has lately been described as “autism” does not exist. 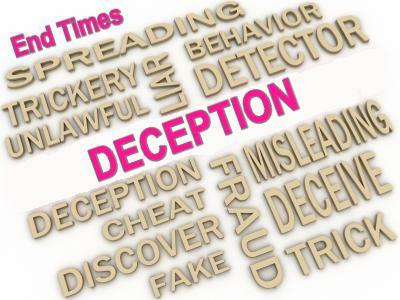 What is a deception is the cause and narrative behind the condition. Hundreds of Mexicans form a HUMAN WALL at the border to protest Trump’s controversial immigration plans – AS IF protests actually changed anything. Protests have become a sort of performance art. ONE YEAR AGO: Read What Pope Francis Said at New York’s St. Patrick’s Cathedral – (h/t:TNM) – A few weeks old, but somehow overlooked at the time. His own words betray that Francis, like all of the popes, is an antichrist deceiver. Believers know that the cross was no failure. Life Threatening Rain: Troubling forecast calls for heaviest Southern California rain in six years – Was the rain called “life threatening” six years ago? The alarmist weather media gives its customers the choice between life threatening drought and life threatening rain. THREE YEARS AGO: Third-coldest winter on record – Of course this is nonsense. But for those whose history consists of what was on yesterday’s iPhone, it is the gospel truth. Every summer is a record hot summer. Every winter is a record cold winter. All weather is extreme weather. Extreme weather is proof of climate change. And climate change is the crisis which calls for massive worldwide government cooperation and loss of individual freedom.